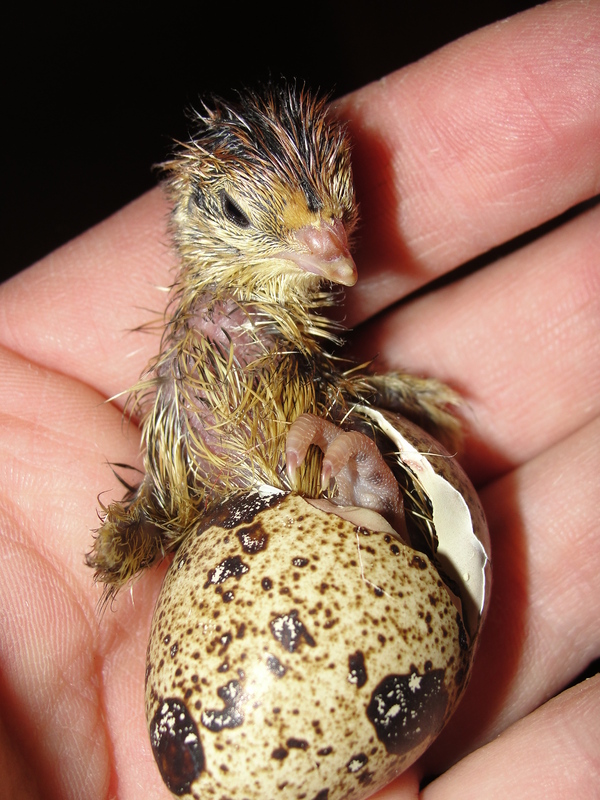 Of the 29 eggs, 7 hatched which is just under a 25% hatch rate. 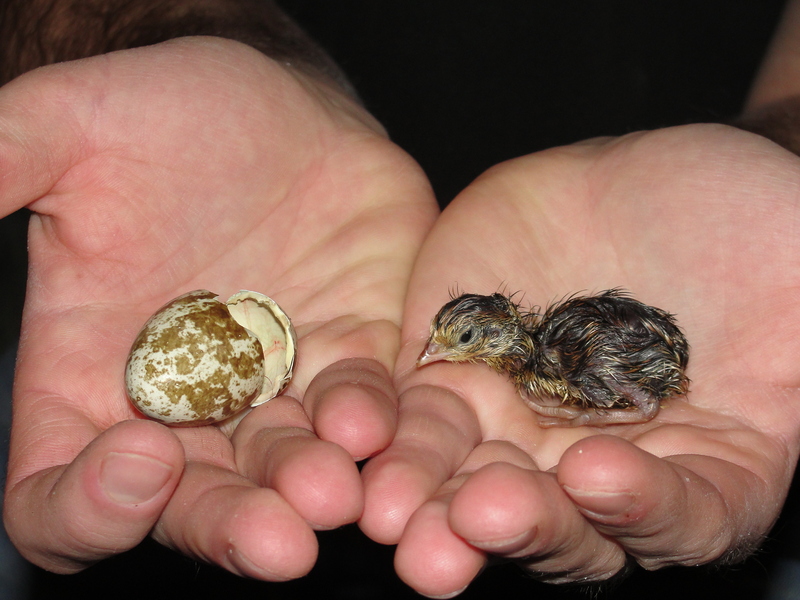 Of those 7, 3 died which left me with 4 baby quail. 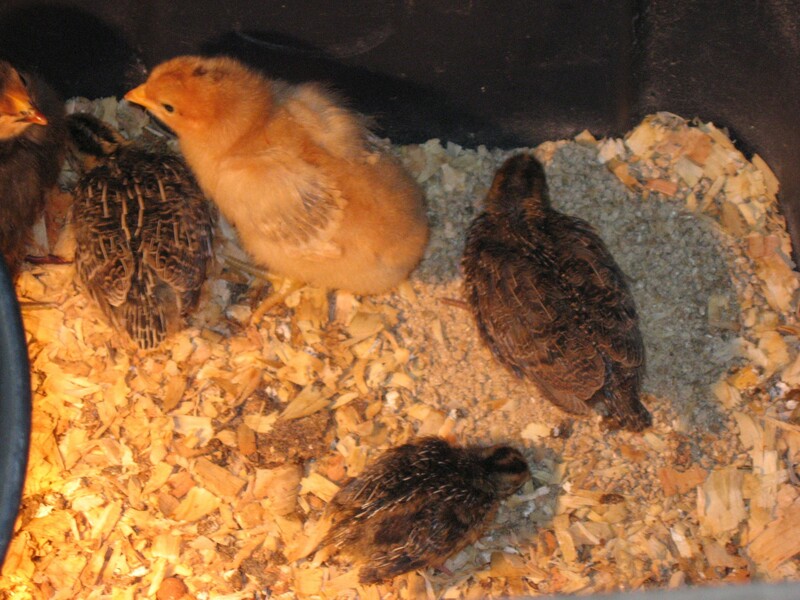 They will spend the next 17 days in a chick brooder. A 25% hatch rate is not good, but it is exciting that this homemade incubator made from a cardboard box was able to bring creatures to life here at the homestead. With some fine-tuning I’m sure I can dramatically improve the hatch rate. 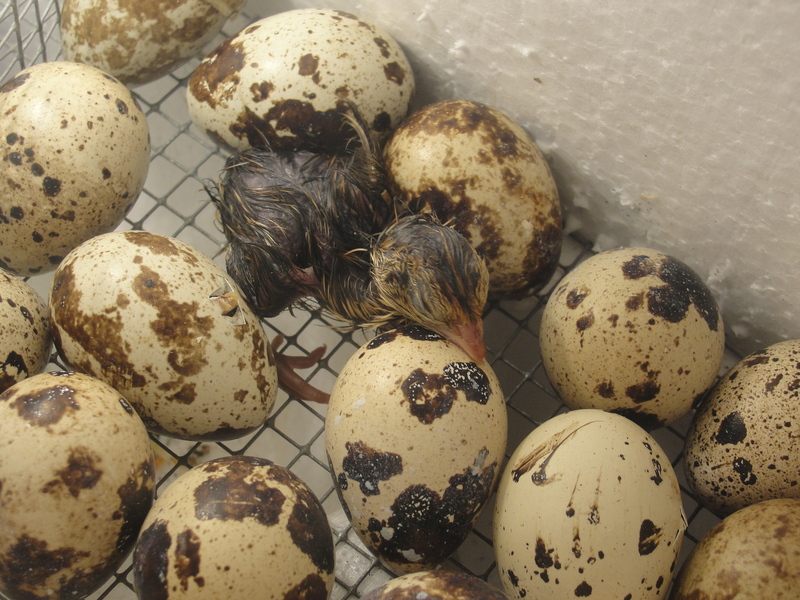 It took 17 days for the quail to begin hatching. The weaker ones were not able to make it out of their shells even with some assistance. 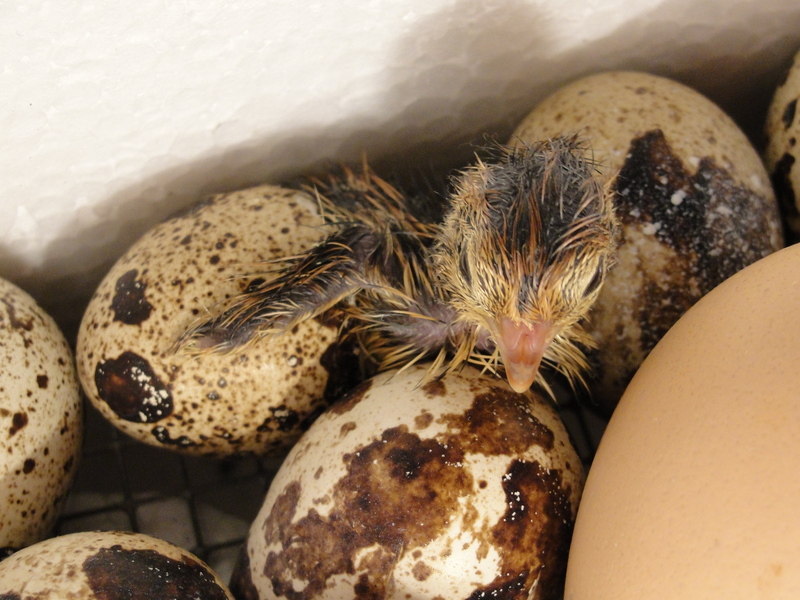 On the 21st day one of the 7 chicken eggs in the incubator began to show signs of life. Later that day the egg hatched. 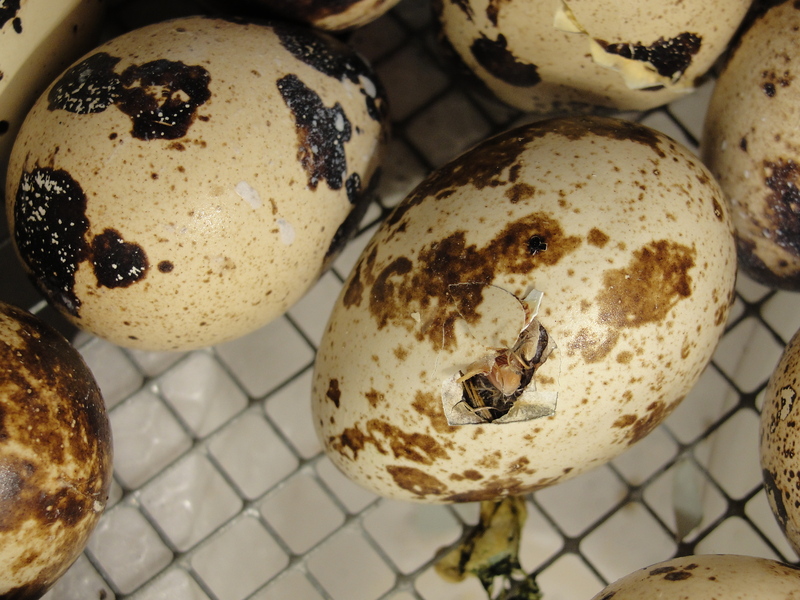 2 more eggs currently show signs of hatching. Next Baby Rabbits Have Arrived!